Table toppers Kilsyth Rangers look to continue their promising start to the new season when they welcome Yoker Athletic to Duncansfield on Saturday, writes Ian MacLean. 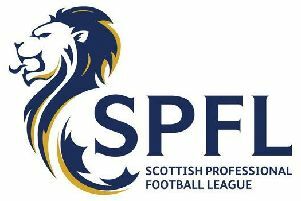 Rangers sit top of the Super First Division standings with three wins and a draw with title favourites Shettleston from their opening four fixtures. But while he is pleased with the start his side have made, manager Keith Hogg isn’t getting carried away. Kilsyth started in similar fashion last season with five straight wins, but that was as good as it got and they eventually finished mid-table. A couple of heavy defeats in pre-season matches then had the alarm bells ringing among some of the Rangers fans, but Hogg refused to press the panic button and believes his squad’s blend of youth and experience can meet the challenges ahead in the coming months. He said: “It’s a marathon and not a sprint and we decided to go with a squad of 20 rather than 18 this season because last year there were times, such as in the run-up to Christmas, when we were down to the bare bones. “We’ve got a good mix and guys such as Mark Tyrell, Frannie Kelly, Andy Carlin and Kevin McBride can play an important role in helping to nurture the younger players and keep their feet on the ground. “We’ve brought in experience but also have some good younger players, such as Corey Pearson who came in last season and scored two or three great free-kicks and has done the same this season. “We have had our problems with injuries and have had to play guys out of position, such as Michael McGee who is a central midfielder who has done a terrific job for me at centre-half. “But other than Chris Reid, Gary Livingstone and Andy Carlin, everyone is fit.